It might only be September but it's never too early to start baking like it's Fall. Nothing says cooler weather like hearty breads and muffins filled with flavors like pumpkin and apple. In honor of the leaves changing, I have put together a round up of 15 baked goods that are perfect for football brunches, family get togethers and hot drinks like apple cider, teas and hot chocolate. Want even more seasonal recipes? 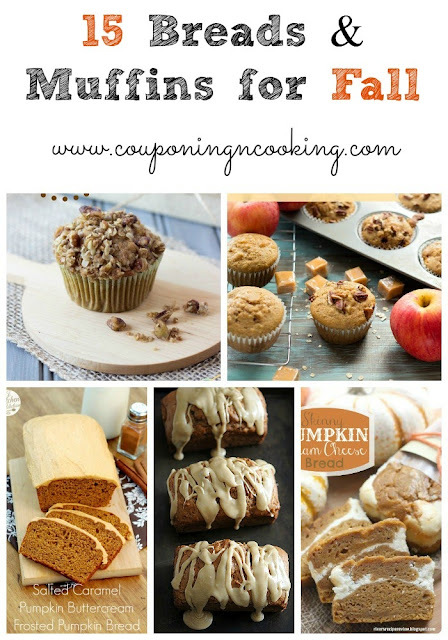 Check out my Fall Flavors Pinterest Board!